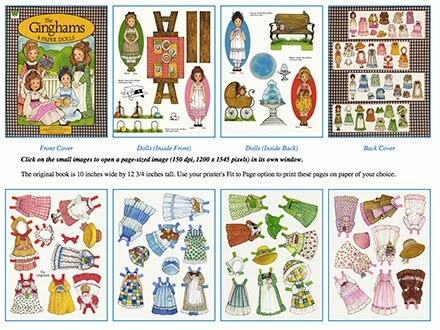 Here's another precious find - the original Gingham's paper dolls you can print and play with FREE! There's a lot more to it than shown in the preview. Just found your printable Ginghams paper dolls. Thank you so much for these! They bring back such great memories. My sister and I spent my hours playing with these when were little girls. I can't wait to share them with her and our nieces! More cute little paper boxes and a freebie!